I was considering replacing my aged computer speakers. So I went to amazon and searched for Computer Speakers and sorted by rating. The first hit in the list turns out to be folks selling the speakers that I was looking to replace used. Pretty skeptical that folks will pay $100 or more for 15 year old speakers that were only $75 new. Import pictures from camera into Photos app. Cull out the photos to print. Fix up brightness for printing. Reset router because a non-related Kindle hangs router. Printer outputs 5 pictures and reports out of Yellow ink. Printer outputs 3 pictures and reports out of Cyan ink. Printer outputs 1 picture and reports our of Magenta ink. Why do I brother printing anything? Not an app I use every day, but it really hits the spot when I do need it. Its about 99% less hassle than using my real world scanner and about 90% faster to boot; worth every penny. Readdle is a pioneer of iOS App Store, one of the first companies to create file management and scanning apps on the App Store. Our main goal is to help you, boost your productivity and give you the ability to use tools that haven’t been available on mobile devices before. 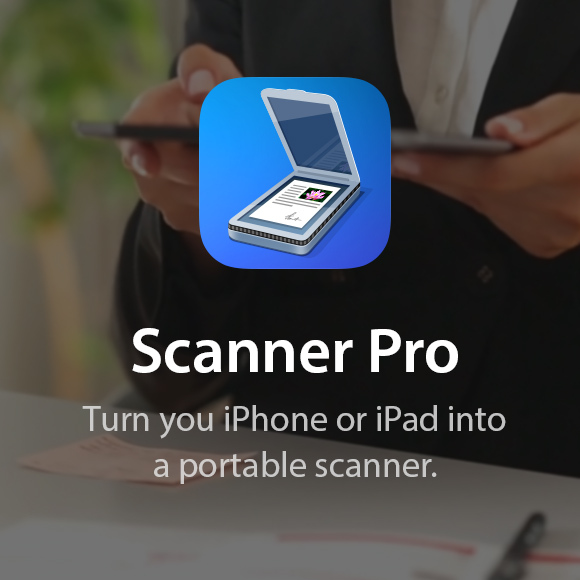 Scan documents, sign contracts, plan your day, print from any iOS device – that’s what our apps allow you to do. All our apps are featured by Apple and loved by millions. Join Readdle family and enjoy the ride! Important lessons and takeaways learned from a mistake in our Ruby code that proved costly for Code School. Send Me to Heaven, for the days when your cell phone won’t stop ringing. Mercy me, that’s a lot of stuff jammed into that tiny package. After not wearing a watch routinely for a few years now, I not tripping over myself to get one. Apple Watch 2015 Teardown on Thursday April 23, 2015. So, recently I started putting together a home music server. I got all the basics up without too much hassle, but didn’t get around actually installing music collection. After getting back to it, I quickly figured out that the raspberry pi doesn’t put out enough current on its USB ports to drive a 2.5″ spinning drive (as manifested by the drive not spinning up and just making a weak clicking noise.) I started looking around for a powered USB hub, but couldn’t find anything cheap enough in town. With a little googling, I found that it doesn’t put out enough current by default, but you can change its configuration to let it put out enough juice. So, I gave that a shot today. Turns out the hardest part is figuring out the password to log in. Even that only took about 1 more minute of googling. So, log in, update firmware, reboot, log in, edit a config file, reboot. Even my feeble brain can handle that. On final reboot, it immediately found the drive and mounted it. So, I went to the gui config for the Logitech Media Server and told it what to index. And there we go. Thought it was gonna take forever, but its moving at a pretty good clip now and should only take an hour or two. Nice! Let the jams begin. I used to keep all my music on my mac, but after downsizing to a smaller (but zillion times faster) SSD drive, I can’t seem to jam everything in any more. So, I’ve been using a portable 500Gb USB drive to keep my music. Gets the job done, but even though its small, its hassle to haul around. At various times, I’ve run a home file server. But, its always on whatever clunky old pc hardware I had lying around. Eventually, some hardware dies, or I just get sick of the fan noise of old power supplies. Its been on the to do list to checkout using a raspberry pi based server. Super low power, no fans, and hopefully, easy to set up. So, last week I finally gave it a go and picked up a raspberry pi model 2, a case, and a 16Gb microsd card. Beyond the hardware, you just need some music server software, after a brief search, I settled on SqueezePlug; mainly because it supports my aged SqueezeBox Boom. Format the microsd using SD Association Card Formatter. Download the SqueezePlug Noobs image. Copy the unzipped files to the formatted microsd card. Put the card in the raspberry pi. I connected a monitor and keyboard, but I don’t think I really needed them. I jacked in a USB key drive with a few songs to test things out. Let the installer run its magic. It takes a long time, 20 minutes. If you watch the install on screen, at the end of the process it reboots and at the end of all the boot up messages, it tells you the IP address for the raspberry pi. Use a browser on another computer in your network to continue the setup process. I then followed the one screen prompts to download and setup the Logitech Media Server. Pretty idiot proof, but another long wait as the 125Mb file downloaded. In Logitech Media Server, I just pointed it the files on the USB key drive. I went over to my SqueezeboxBoom and it found the new server without much fuss and was able to find all the songs I added. Finally, I turned on samba file sharing. So, I can easily add new music over the network (though I might just copy files directly to the drive over USB connected to the mac and then move to raspberry pi as network transfer seems slow) and play the files directly on the computer. That wasn’t much work at all. Kinda regret not doing it sooner. Squeezeplug also has other features that allow it to be an airplay end point. Basically, be a remote set of speakers for an apple device. I tried it just now, but I’m not seeing the raspberry pi as an air play destination. I suspect it might be because the pi is connected by wire and not wifi, which seems be an airplay requirement. Review: A New Laptop from Dell Makes the MacBook Air Look Huge. Wow, that’s pretty nice actually. Unfortunately, its not Dell priced. For about the same amount of money, I’d probably stick to Apple.